The shoulder has great flexibility and gives us many complex movement possibilities through the arm. But with this flexibility comes some vulnerability to injury and damage. Painful shoulder conditions that limit movement are very common. They are caused by imbalances or injuries that affect the shoulder joint, its muscles, tendons, ligaments and cartilage. We will conduct a full physical, orthopaedic and neurological examination of the shoulder & spine to establish an accurate diagnosis and determine the underlying cause of your pain. You may be asked to perform shoulder range of motion and muscle strength tests. Where the pain is felt, both at rest and during movement of the shoulder, provides important clues as to the cause of the shoulder pain. It may also be necessary to undergo specialised diagnostic tests such as X-ray, Ultrasound and/or MRI scans. 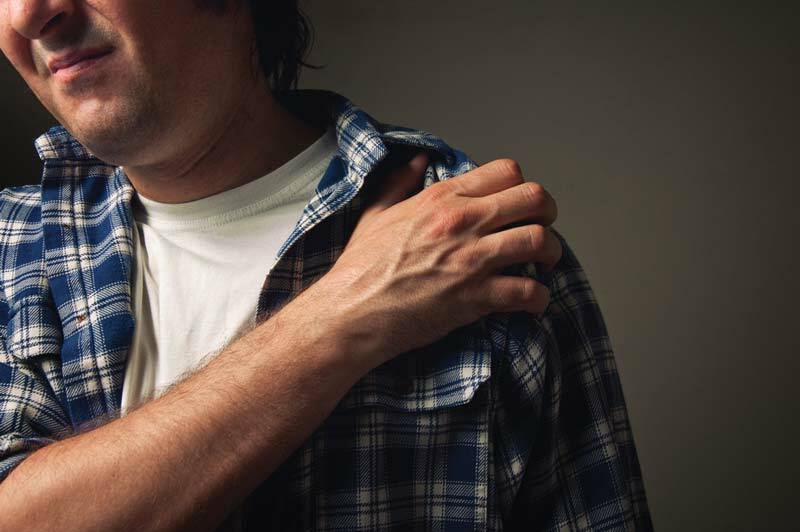 Regardless of the cause, treatment of the shoulder area requires an experienced practitioner who can test the movements and structures of the shoulder and spine and come to an accurate diagnosis of the problem. The initial objective of all shoulder injuries is to relieve pain and inflammation.